As a homeowner, you want to do everything that you can to ensure that your home functions as efficiently as possible. The last thing you want is for something to break, especially if it leads to further problems or costly damage. Unfortunately, your home’s septic system often goes overlooked until it breaks or starts to leak into your lawn. If you live in Dade or Broward County in Florida, then septic tank maintenance is easy with help from the experts at Coker Septic and Plumbing! Our experts have years of experience and we provide 24-hour septic tank services, seven days a week. Whether you’re having problems with your septic system or you simply need to schedule routine pumping and inspections, you can count on our team to get the job done. Learn more by browsing our website or give us a call to schedule an appointment today! Most people are under the impression that the only problem you can have with your septic tank is that it leaks into the yard. However, various problems can occur if you’re not careful, and they often go unseen until it’s too late. 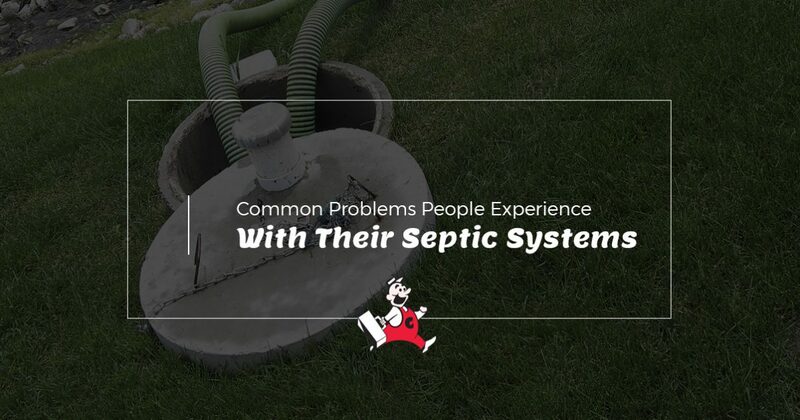 In today’s post, we will outline a few of the common problems homeowners experience with their septic tank so that you know what to look for. If you notice any of the signs in your own septic system, don’t wait until the issue gets too big. Contact the experts at Coker Septic today! Using a lot of harsh chemicals for cleaning or working on household items may actually be doing more harm than good for your septic system, especially if you’re in the habit of disposing of those products down the drain. Certain chemicals that can be found in solvents, paint thinners, brake fluid, and gasoline can be harmful to both your septic tank and your yard if not disposed of in the correct manner. For example, if you decide to pour solvents down your sink drain, they will eventually end up in your septic tank. From there, the chemicals will filter into your drainfield. Unfortunately, the drainfield can’t filter certain chemicals, meaning they will either end up clogging up your system or they will be released into your yard. If the latter occurs, the chemicals will pollute your soil and make it impossible for plants to grow. In addition to soil pollution, you also have to be careful when you dispose of chemicals because some of the chemicals will also kill the bacteria that lives in your septic tank. Every septic tank is home to bacteria that help break down the solids that enter your sewage system. However, if you release chemicals into your system, they have the potential of killing the bacteria, which can result in a backup of solid waste. Any water and waste that you use in your home eventually ends up in your septic tank. That means that every time you flush the toilet, do the dishes, use the garbage disposal, or take a shower, everything that goes down the drain will collect in your septic tank. As we mentioned above, there is bacteria that lives in your septic tank specifically to break down any solid waste that enters your septic tank. In most cases, the waste is broken down without any issue, but if you flush or dispose of waste that isn’t biodegradable, the bacteria won’t be able to break it down and it can end up clogging or backing up your septic tank. If you want to avoid costly problems down the road, it’s important that you watch what items you flush down the toilet or put in your garbage disposal. Most of the time, problems that occur with your septic tank can be avoided. That being said, there are certain issues with your system that you have no control over, such as the case with tree roots. Believe it or not, but tree roots can actually grow through your septic tank. As you can imagine, this can cause cracks in your tank. If you have cracks in your septic tank, water from your lawn can leak into your tank, or even worse, wastewater from your septic tank can leak into your yard. The best way to avoid this is to make sure that you plant trees or shrubs away from the septic tank and make sure that you receive regular inspections to avoid any problems. It’s important that you schedule regular septic tank maintenance in order to ensure that your system is free of problems. At Coker Septic and Plumbing in Miramar, we proudly provide Top Rated Local® septic cleaning services to residents of Dade and Broward Counties. Don’t wait until there’s a problem with your septic system to give us a call. Contact Coker Septic and schedule an appointment today!